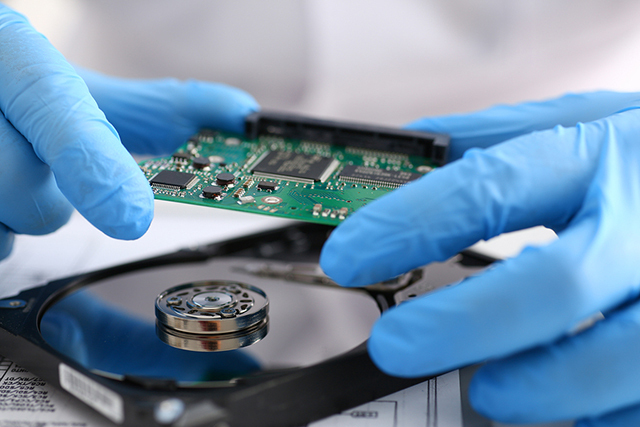 We are your data recovery experts. Call us toll free at 1-866-401-5860. In business for more than 30 years ! Fast and dependable customer service. Recovery from all media types. Recovery of all file types and operating systems. Full-service recovery lab using latest technologies. Extremely high customer satisfaction rate. Fastest and most reliable Data Recovery service in Montreal. To begin your data recovery process, all you have to do is get started. We'll take care of the rest. Our technicians are experts in providing data recovery services for desktop, notebook, and external hard drives of all makes and models. When you Server or NAS fails and you can't afford to be down our technicians are experts when it comes to RAID & NAS recoveries of any size or complexity. When you lose data on your SSD and it's mission-critical to get your data back. Our SSD data recovery technicians are undoubtedly the best in the industry. We provide professional data recovery services on notebooks and tablets containing all types of storage devices from hard drives to SSDs. Lost photos, videos from a damaged SD card or CompactFlash. Our technicians are highly-skilled and well trained when it comes to retrieving data from a damaged, bent or inaccessible flash drive. Whether your flash media has been accidentally deleted, formatted, or physically damaged, we can help! Our technicians can repair and recover data from failed or damaged USB keys. Kenedacom Data Recovery Inc. is fully-equipped to keep pace with every kind of data recovery challenge imaginable that results from drive failure, data corruption, viruses, user error, and other causes. From one day to another my PC just crashed and the hard drive went along with it. The hard drive was making strange noises and I was told early on that it was in pretty bad shape. They kept me updated and were very professional and managed to recover all of my data and put it on a new hard drive. I had an important project on it which had not been backed up. Needless to say I learned my lesson but am so thankful for their work. Very good and efficient service. I received regular updates during the process and had a clear idea of the time and cost. I recommend it. Thanks. Excellent service, fast and efficient! They recovered the data from my dead hard drive in a short time and all was done so professionally. They kept me updated about what was going on, price and all. Thank you Derrick and Sean for all your help. I highly recommend you! Keep up the good work. Thanks Kenedacom, especially to Derrick and Sean, for recovering all these important files. Forever grateful. Derrick and Sean were nice people. More importantly, the Kenedacom team was able to successfully retrieve all of my important files from my crashed hard drive. Good service! Excellent service with constant updates and explanations of the work being performed. Greetings from Mexico! I want to thank Kenedacom for being able to retrieve all the information from my broken hard drive. This was the third company I had taken my drive for repair, but the previous two providers were not able to do the job. I am very grateful to Derrick and his team for their excellent communication, and for making me feel like they cared for my information as much as I did. I appreciate your good work and understanding of my situation! It's the second time I do business with kenedacom and once again I am not let down and super satisfied! I cannot recommend them enough for anything relating to data recovery. I have been using Kenedacom since 2003. They have been able to retrieve all my files lost in various scenarios. Very helpful staff during difficult time of losing personal or business data. They give you confidence from the start to finish of the process. They are very organised and follow-up during each step of the way. I am very satisfied with their service. Don't worry if you've lost your data, they'll get it back for you. It seemed that all hopes were gone, until I brought my hard drive to Kenedacom. I had so much important files and pictures lost. Well, everything was recovered and the quality is perfect! Thank you! Thank you! Thank you! I was very impressed with the efficacy of the company Kenedacom who was able to recover a substantial part of my broken external hard disk. This was very appreciated and everybody was courteous, even friendly. In conclusion, I am very satisfied with the service provided. Contact Kenedacom Data Recovery the moment you experience a hard drive crash, computer failure or other serious data loss. Our data recovery experts can retrieve data not only from damaged hardware but also when files are erased or overwritten. Do not allow an unqualified person to attempt recovery of the data in order to avoid losing valuable information on your hard drive. Leave the recovery of your data to expert system engineers like those at Kenedacom who are tops in their field. Make sure the data recovery services team you choose to recover your data possesses the up-to-date training and specialized equipment required to tackle complex data loss challenges. Such diligence on your part will ensure a higher rate of data recovery. Advise your Kenedacom Data Recovery customer care representative if you have important personal data on your computer such as family photographs, scans of official documents, and other irreplaceable information.